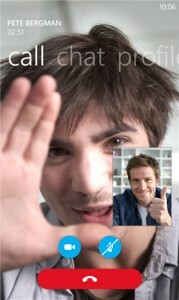 Microsoft has updated Skype for Windows Phone 8, dropping the preview label associated with the app. Among the most noteworthy improvements, the stable version of the popular voice, video and text chatting application brings a change in message notifications and a number of bug fixes meant to improve the stability and overall functionality. Skype for Windows Phone 8, which is now at version 2.5, introduces a new default setting for message notifications. After Microsoft announced that Messenger will be dropped and replaced with Skype, message notifications for Messenger friends are now enabled straight off the bat, likely to ensure a smooth transition to the new service. The latest version of Skype for Windows Phone 8 also fixes a number of bugs related to calling, notifications, stability and video chatting. The app now enables the video call button right after accepting a contact request and message notifications should display contact names correctly at all times. Skype is also stable upon starting and signing in using a Microsoft account and received video calls and local video previews are displayed correctly. There is also a known issue related to the HTC Windows Phone 8X. The microphone is muted during voice calls for users who have yet to update their smartphone to the latest available software. Skype 2.5 is available to download from the Windows Phone Store.